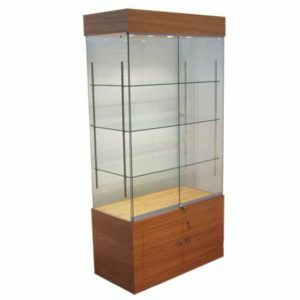 Display Cabinet HC05 Hexagon is a great looking, freestanding display cabinet. 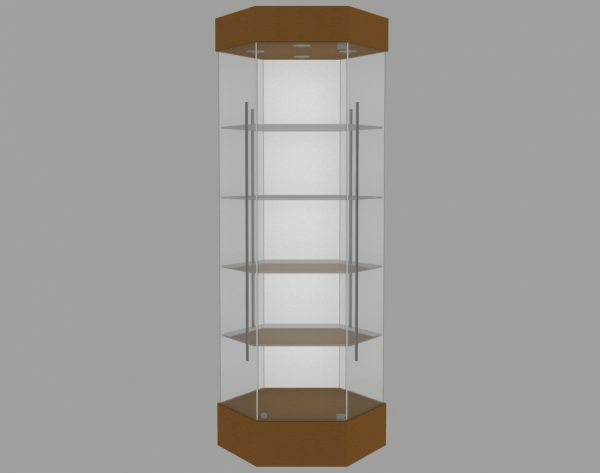 A popular style with gift shops, this cabinet is ideal as it can placed in a freestanding position which can be viewed all around. 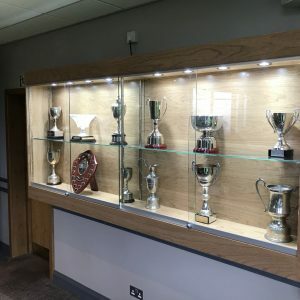 With plenty of display space it has a variety of display applications from awards & trophies to jewellery, artwork & collectables etc. The shelves can either be adjustable on tracking, or fixed position on studs drilled through the glass. Alternatively you can have rotating shelves (non adjustable). Access is via a single hinged, lockable door. 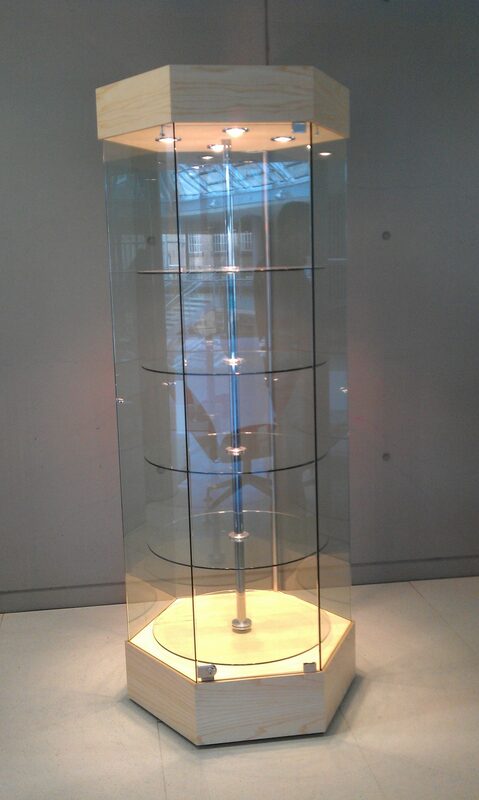 This cabinet will give many years of trouble free service. Timber cabinets are levelled & installed by our own fitters who ensure you are totally happy before they leave. 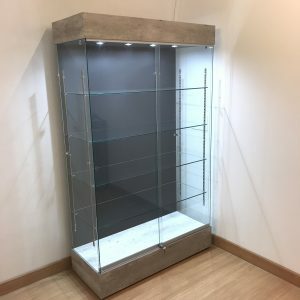 All you will need to do is start putting your items on display! 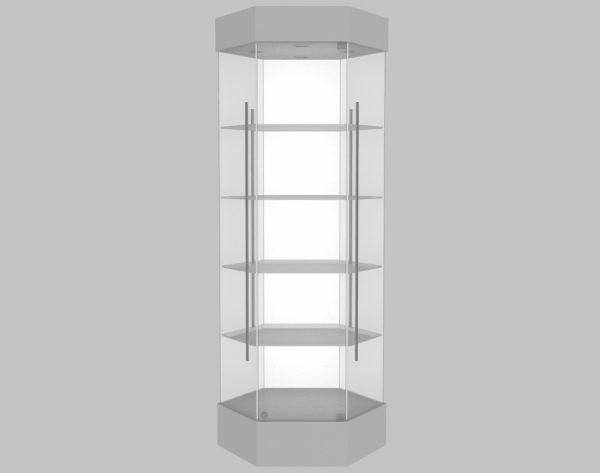 Please note some images show cabinet HC05 with rotating shelves. Standard HC05 comes with adjustable but non-rotating shelves. 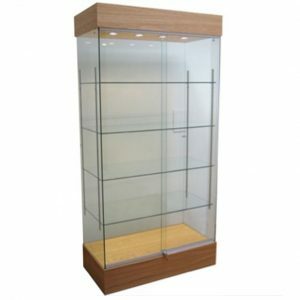 For Rotating shelves please select ‘Rotating Shelves’ in shelf option.